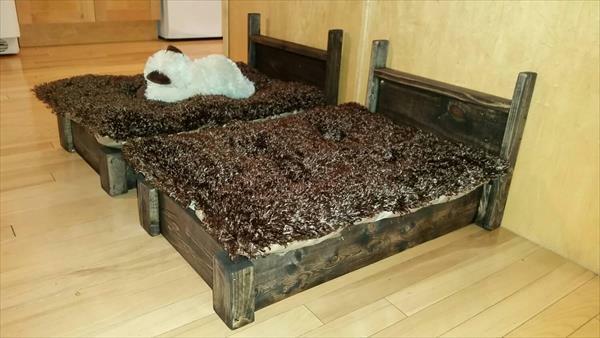 Here we are with another great recovery of pallet wood which would be much joyful to home lovers. 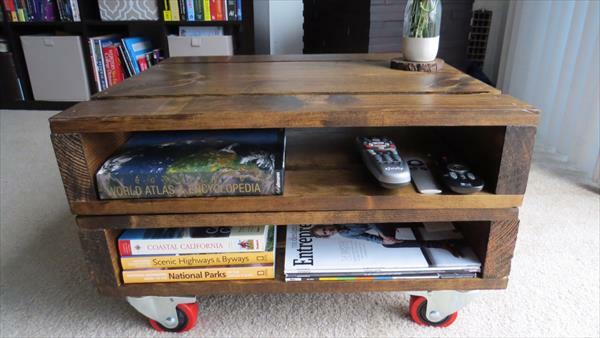 This DIY pallet side table with storage has been cleverly dimensioned that you can find enough space for storage for domestic and living room stuff like books, mobiles, some private tools and newspaper. Make it more artistic by perfect planning of decors to get a centerpiece and your own piece of art out of it. 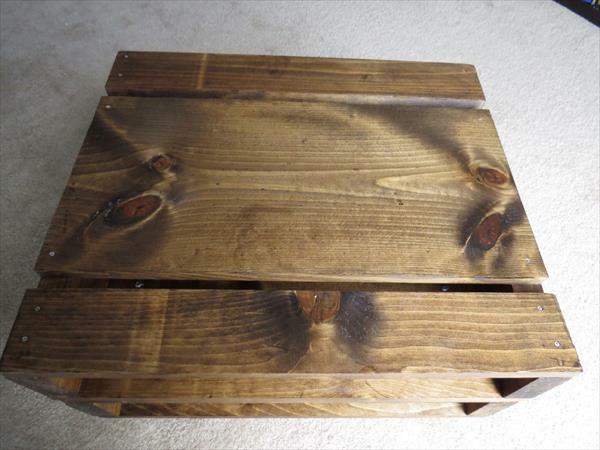 There are many creative ideas coming in your way to get a comfortable living with pallet wood. Pulling and dragging of tables in home may cause noise pollutions and it also be disturbing for some chunky types of table, to avoid this disgusting situation we have used the metallic wheels at its bottom space that also give a industrial appeal. 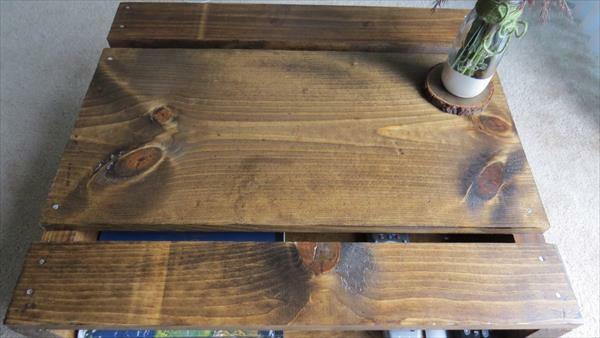 Make the wood sanded and then stained afterward for a arresting splinter free finishing of this rustic DIY pallet furniture and also a housewarming gift.